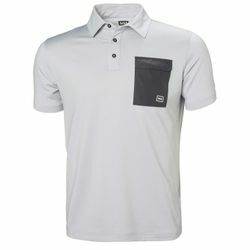 Helly Hansen Oksval SS Polo. A rich and soft classic men's polo for both urban and outdoor adventures. The Oksval Polo is made from a rich and soft polymix fabric in a classic polo design. Great comfort and style for any type of outdoor roaming.